- Precision CNC Aluminum Canopy Mount. - Easy assembly with tool included. - Stock Plastic Canopy Mount Set: 1.9(g) = 0.067(oz). 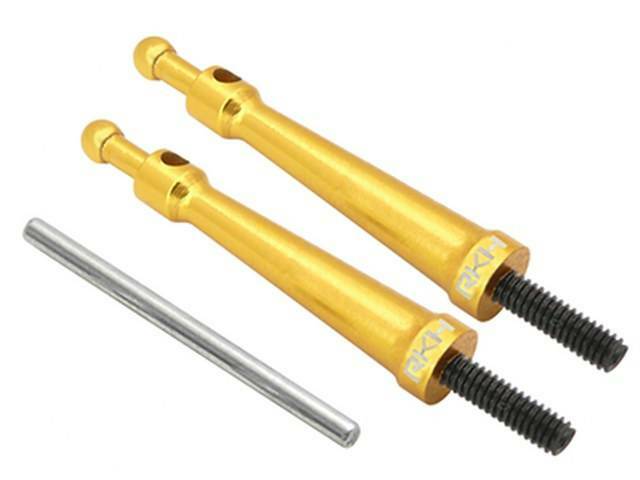 - CNC AL Canopy Mount Set: 1.4(g) = 0.049(oz). Lighter weight than the stock. - CNC AL Canopy Mount (1set).